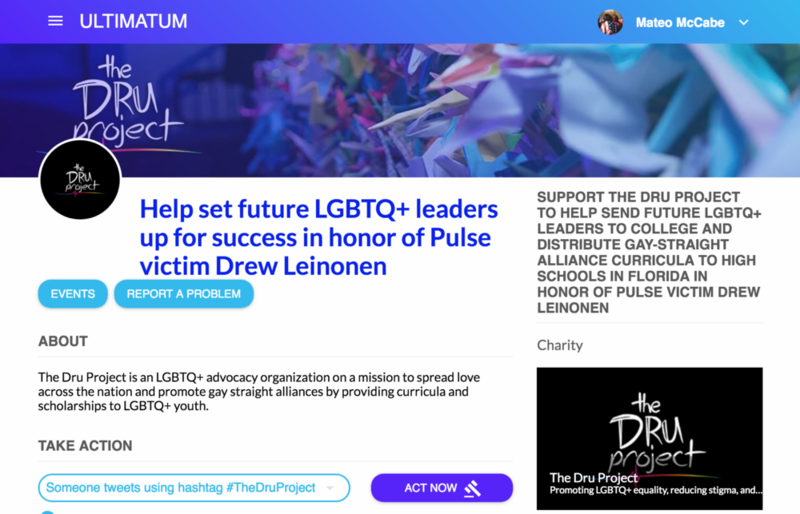 At the end of May, we ran a special campaign on Ultimatum in partnership with The Dru Project to support LGBTQ high school GSAs and college scholarships. Our campaign went viral after IGN Tweeted about the campaign. According to Keyhole, the campaign resulted in 5,000 posts, engaged 3,000 people, and had 17 million impressions on Twitter! We are thrilled that this campaign was a huge success — in 4 days, we raised $430 and Ultimatum donated an extra $100 toward the campaign for a total of $530. 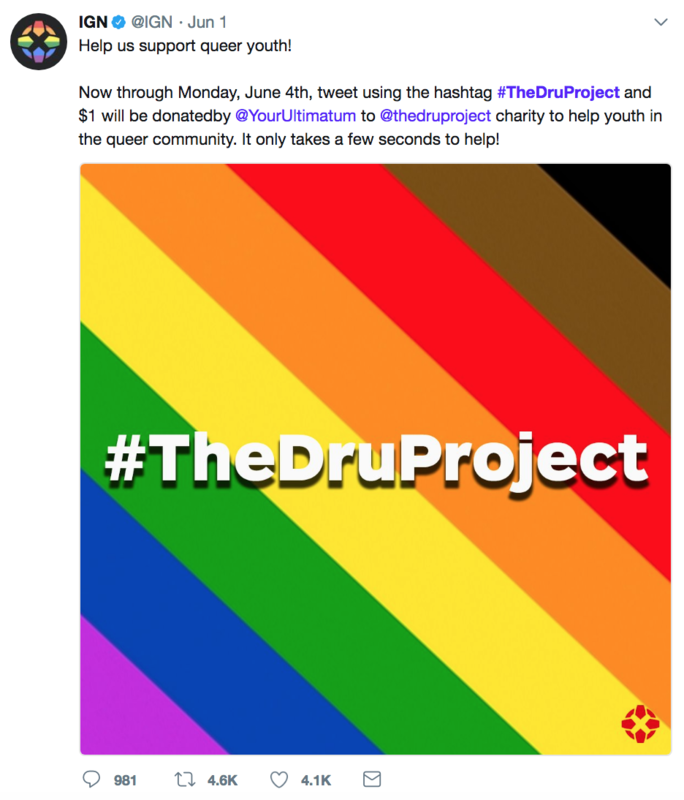 If you are interested in supporting The Dru Project, please visit their campaign page here. Closed Beta: You Are Invited! Ultimatum is still in closed beta - we have been getting a lot of great feedback and have been working hard to make Ultimatum better every day. If you have any feedback or would like to join the beta, send us an email: beta@yourultimatum.com.